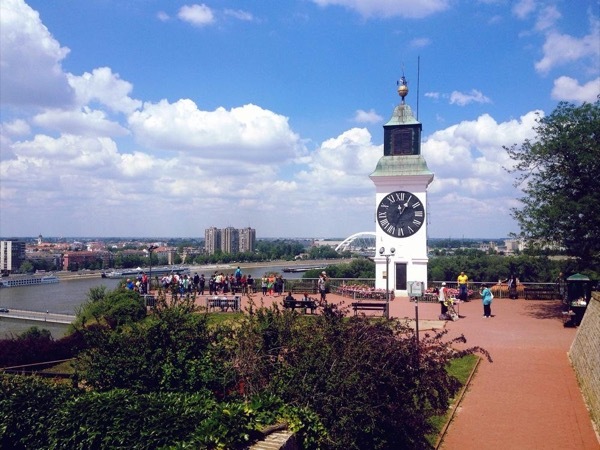 Local Private Tour Guide | Belgrade, Serbia | Srdjan R.
I have been working in tourism for many years now. Most of that time I've been taking Serbian groups to various destinations around our beautiful planet. This made me a citizen of the World. Being a professional traveler is, to my opinion, one of the most exciting and self enriching jobs in existence. At the same time during those years, I was happy to witness a substantial tourism increase in my country - Serbia. I knew it has so much to show and offer and that foreigners are not aware of this fact. Serbia is still a land yet to be discovered. 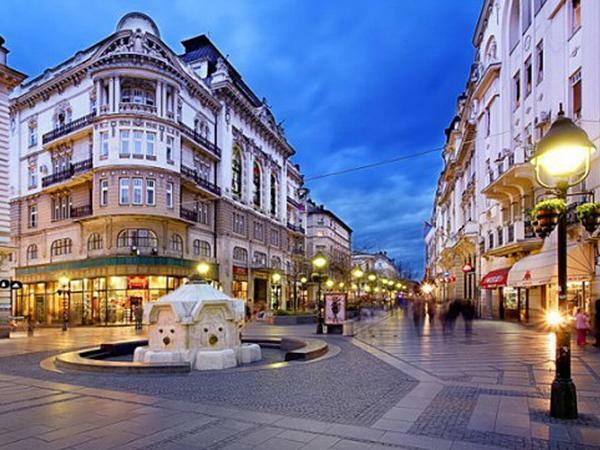 Especially my hometown, BELGRADE, place where I was born as well as my parents and grandparents. I know every corner of it. The city is somewhere deeply in my genes and I have a feel of it. Belgrade is always fresh and surprising. It is dynamic, vibrant, unusual and has a big heart. I call it "The Crossroads Of The Worlds" for its outstanding location at the confluence of Sava and Danube rivers and unbelievably rich history going back to the times of Neolithic. Historically speaking, it has always been a very important place. I am very passionate to present Belgrade to visitors, you know. Why? Perhaps because they are often filling my heart with that surprise expression on their faces: "But. . . we didn't know it was so. . . nice!" 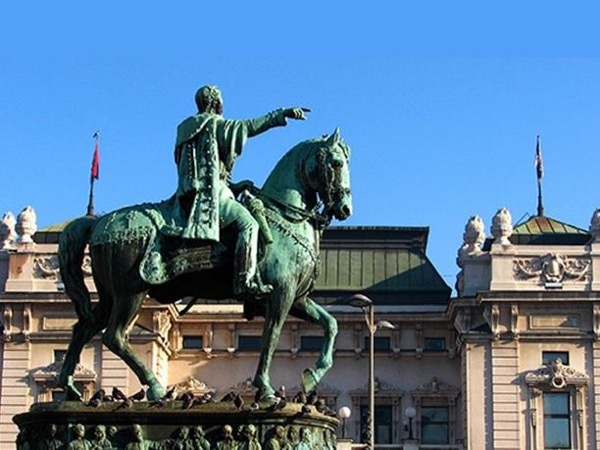 I believe that support of an experienced guide is necessary for a full experience of Serbian capital, Belgrade. It is a person who will be able to present you all the feelings and impressions, vibes and colors of Belgrade and Serbia. A story teller who will lead you into magic of an unusual city and country situated 'At the Crossroads of the Worlds'. A friend who will show you secrets not visible to casual eye. A professional who will know how to hear and recognize your needs and adjust to them. 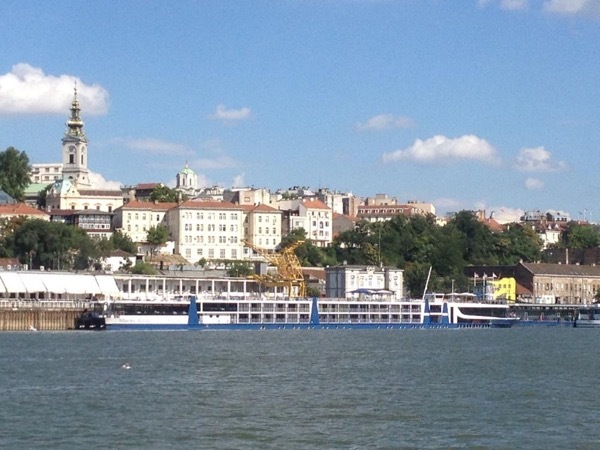 I would like your experience of Belgrade to be more complete and of higher quality than that of an average tourist. I'll be glad to meet & greet you at the airport, or at your hotel, and take you to the sightseeing of the city. 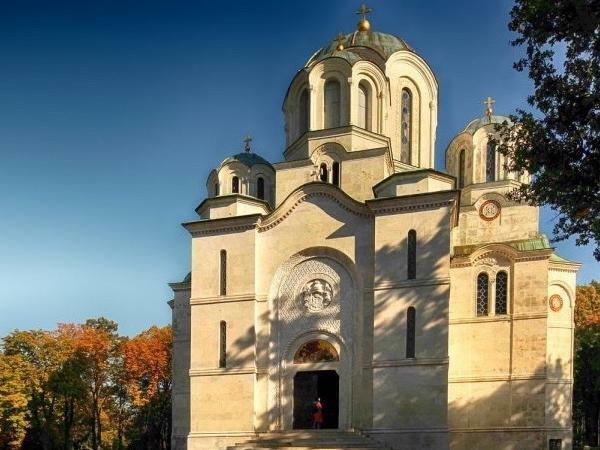 We can arrange many other tours in Belgrade and Serbia. I am looking forward to seeing you in Belgrade! Srdjan was an excellent guide in every way. He is extremely knowledgeable and gave us a perspective of Serbian history from the ground up. We saw the important places in Belgrade and, more importantly, began to understand the Serbian mindset. Recent history has been difficult for the Serbs and it was so helpful to have an experienced, articulate guide to explain it to us. 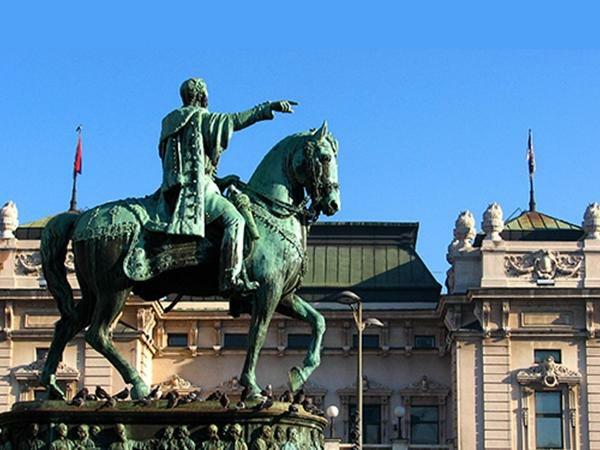 We strongly recommend a tour with Srdjan to anyone who has a desire to learn and understand the fascinating history of Serbia. Official tour guide license, valid for the whole country of Serbia, issued by the Ministry of Tourism in 1994. CAR: Mazda 6 car with A/C for private tours and airport transfers up to 3 people. MINIVAN: Vehicles specially equipped for sightseeing and transfers (Mercedes, Ford, Fiat, Iveco...), for 6 - 20 passengers, with A/C and PA audio system.